Just for the holiday fun of it! We are inviting your child to attend a hot chocolate mug workshop. This hand-built kids clay workshop is suitable for beginners and cool enough for kids with experience. Basic design and fundamentals of hand-built pottery will be taught during this 1.5 hours work shop. 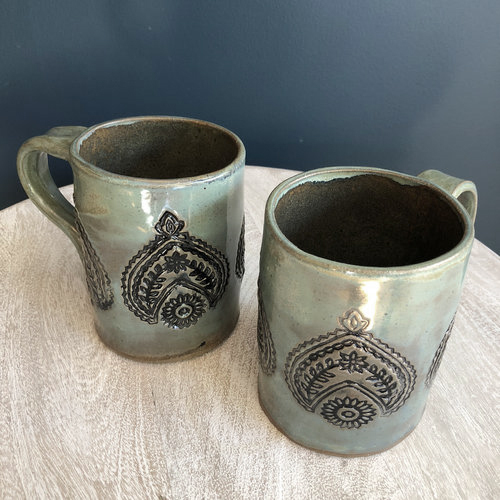 Each child will be making there mug from scratch, be engaged with the process and utilize exciting creative texture tools to give each mug its own individuality… this item is sure to be there go to mug for all things yummy especially hot cocoa! Each workshop finished mug will be returned with a complementary hot chocolate packet. Use PROMO CODE “KIDSMIXEDMEDIA” on our Kids Mixed Media Series offerings at checkout and receive 10% off!